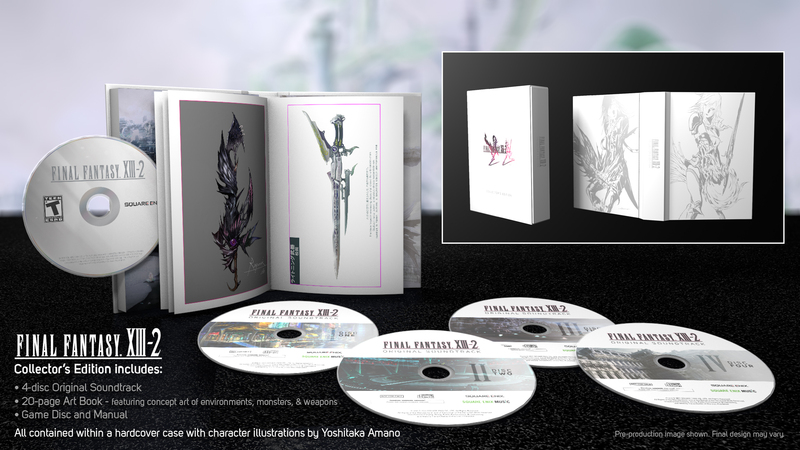 Square-Enix has just announced that the EU and US will be getting limited edition Collector’s Edition releases of Final Fantasy XIII-2. The bundle will be available in very limited quantities (as per Square’s custom) in major retailers like GameStop, Amazon and Best Buy. Premium packaging featuring artwork by Yoshitaka Amano. The collector’s edition bundle will cost you $79.99. Japan still gets the better deal with the limited edition PS3 bundle, but the EU and US collector’s edition is a better option if you’re not into getting another PS3 console. Final Fantasy XIII-2 will be released on January 31, 2012 for PlayStation 3 and Xbox 360 .